The success of Penney’s Auto Body, Inc. can be attributed to the association of loyal, knowledgeable, and hardworking people. The technicians have been rigorously tested and certified by ASE, the recognized authority for Automotive Technician Certification. 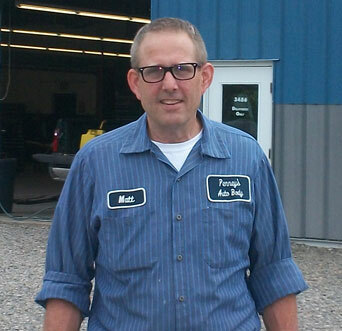 Constant training and updating keeps these technicians current with the technology of the ever changing automobile. In addition to continued ASE testing, the technicians at Penney’s are also educated through the Inter-industry Conference on Auto Collision Repair (I-CAR). Penney’s Auto Body, Inc. is a proud member of the Automotive Service Association. Organized in 1949, the ASA is the nation’s largest organization of auto repair businesses and is dedicated to its leadership in responsible quality car repair. The paint technicians at Penney’s are trained and certified by PPG on a regular basis to keep current with new products and processes and with EPA regulations. You can be assured that the color and finish will meet your satisfaction. Penney’s Auto Body, Inc. has an A+ rating from the Better Business Bureau.